In choosing commercial truck tires for your vehicles, it’s important to consider the leading brands as recommended across the industry. In this latest post our experienced team at STTC provides a guide to the top 8 brands of commercial truck tires. One of the leading brands for many years, Michelin is renowned for the quality of their commercial truck tires. The Michelin X Line Energy Z, for example, is considered the foremost semi-truck tire for long-haul driving. Goodyear still produces many high quality and reliable semi-truck tires, including the G399A and G5050D. Yokohama is known for their tires’ retread compatibility and the improving quality of their overall tire range. One of their best-known models is the RY617 steer. Combining a quality warranty program and reliable tires, BF Goodrich’s are rising in the rankings across the tire manufacturing industry. Cooper Tire are known for their low cost of ownership and limited maintenance requirements. Leading the marketplace is their current RHA series model, designed for regional haul applications. Dunlop’s latest tire range includes the Dunlop Mud Rover, which offers aggressive mud traction. They offer a comprehensive selection for all types of fleet application. Kelly Tires are predominantly known for leading-class levels of durability for long-haul driving. One of the most popular options in their selection is the Armorsteel KDA, which is designed to achieve uniform wear and to resist casing damage in the long-term. One of the smaller brands, Uniroyal has grown within the marketplace and offers several affordable options for growing fleets. 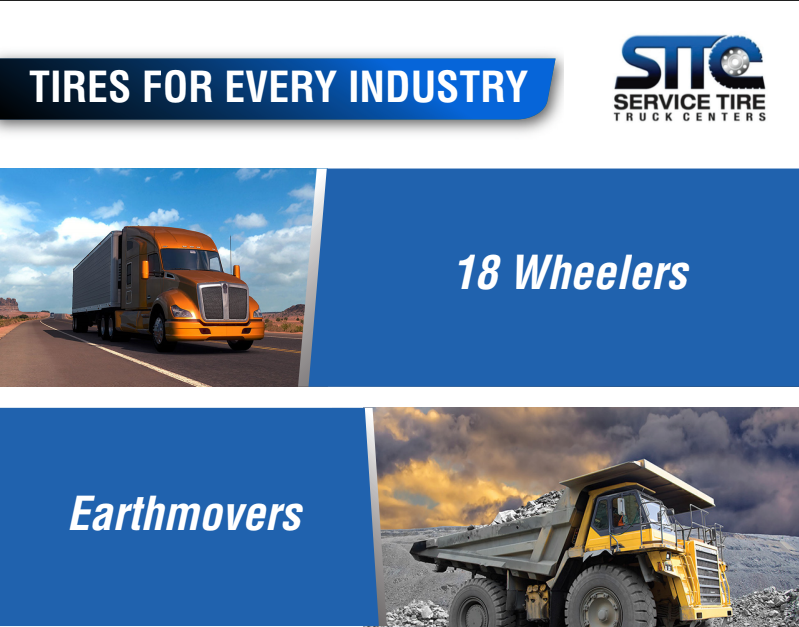 Our experienced team at STTC offer access to the leading commercial truck tires at affordable market pricing. To discover more about the best options for your fleet, contact our trusted experts today.